Are you already in full swing preparing for your summer vacation or a weekend trip? Reliable navigation is your best friend when traveling, so don’t forget to pack your trusty navigation app for your next adventure. Summer is the best time of the year – the weather is nice and everybody is taking some time off to recharge and enjoy all that this pleasant season has to offer. 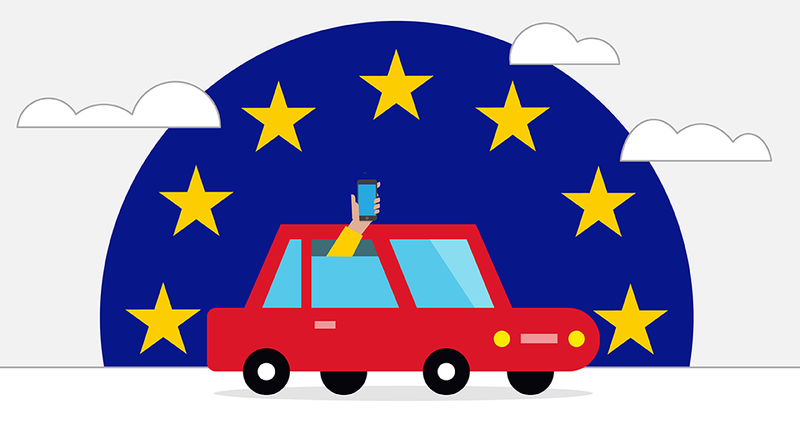 Whether you are planning on taking an adventurous road trip, a relaxing beach holiday or an exciting city break, offline navigation is a must when traveling. Especially when you travel abroad. With Sygic GPS Navigation you can navigate in all countries of the world. You will simply download all the maps you need for your trip, so you don’t have to rely on mobile reception or Wi-Fi while on the road. But it’s not just about the pretty 3D maps. 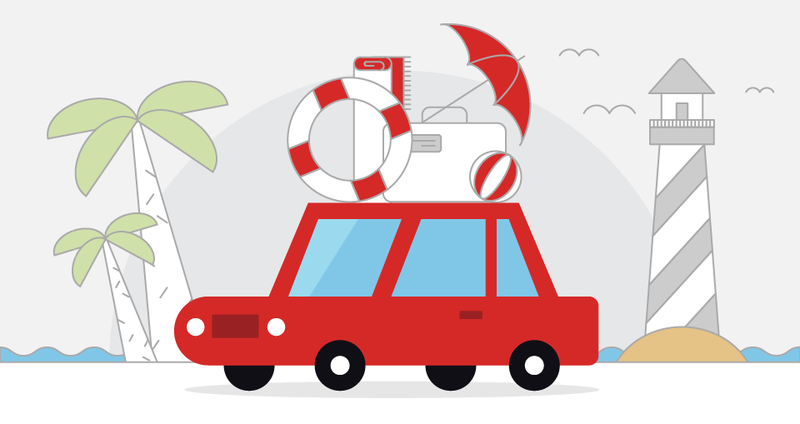 Read on to find out how Sygic can be useful on your vacation this summer. The long wait is over – your holiday is here and you can take a break from everything, but first you need to get there. Drive with Sygic and follow clear spoken instructions, so you can focus on the road ahead. With the precise driving instructions, you will arrive comfortably, safely and without a single missed turn. And even if you miss a turn, our smart algorithm will quickly recalculate your route and get you back on track. Driving in unfamiliar areas is stressful, but luckily Sygic GPS Navigation comes with some great safety features that will help you get through complicated intersections. Dynamic Lane Assistant will guide you into the correct lane, while Junction View shows you the junction with highlighted lanes and exits. You will always have enough time to change lanes safely. Driving in unfamiliar territories will be safer and more relaxed. 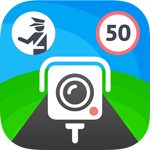 Sygic will also warn you when you are speeding or approaching a speed camera. You will also get a heads-up on upcoming speed limit changes, so you can adjust your driving. 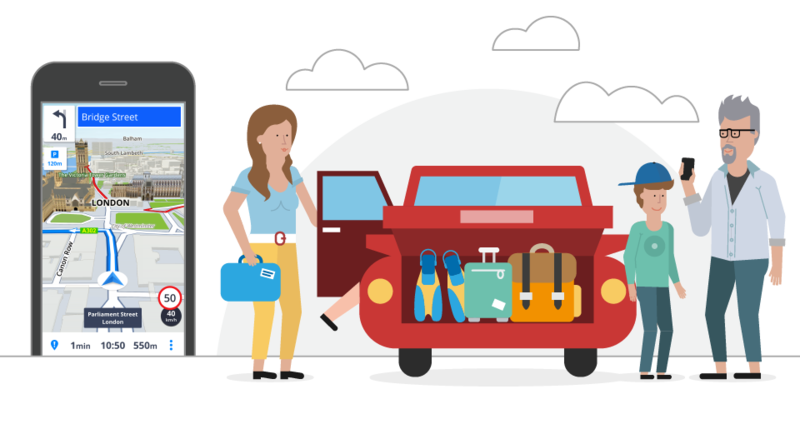 Long story short – you will get all the needed information to stay safe and relaxed during your travels. You are on a vacation, so you don’t want to think about the money all the time and that’s when Sygic comes in handy again. The app will show you the prices of nearby petrol stations and parking lots, so you can make a more informed decision about where to refill or leave your car. And while we are talking about saving some money… Check out our summer offer to get Lifetime Premium Navigation for a great price. This one-time small investment will save you a great deal of stress and time on the roads. Make the most of your holiday with maps stored on your phone – explore beautiful places, slow down and savor every moment of your well-deserved vacation. Sygic GPS Navigation includes millions of places so you can easily search for anything without internet connection. Sygic will help you find banks, petrol stations, shops, restaurants, hospitals, hotels, attractions or really anything near you. No matter if you drive or walk, Sygic will show you the best way to get where you want to go.